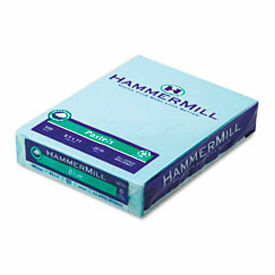 Printer/Copier Paper - White Is Used For Everyday General Business Copying and Printing. Printer/Copier Paper - White is made in a variety of paper weight constructions and finishes for long lasting durability and printing reliability. Available in a variety of types compatible with high-speed laser or inkjet copiers and printers. Available in a variety of styles to meet printing requirements. Color is White. Sizes and quantities vary per type. 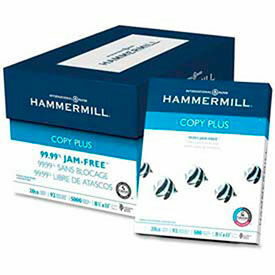 Printer/Copier Paper - Colored Is Used Is Used For Memos, Announcements, Manuals, Newsletters, Flyers And Other Creative Applications. Printer/Copier Paper - Colored is made in a variety of paper weight constructions and finishes for long lasting durability and printing reliability. Available in a variety of types compatible with high-speed laser or inkjet copiers and printers. Available in a variety of styles to meet printing requirements. Sizes are 8-1/2 in. W x 11 in. H and 8-1/2 in. W x 14 in. H. Colors and quantities vary per type. Laser Print Paper Creates Vivid Colors And Deep Blacks For Color Copies, Presentations And General Business Communications. 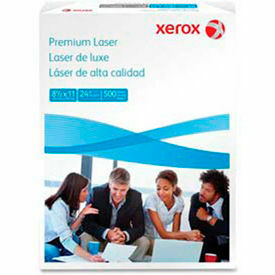 Laser Print Paper offers exceptional performance in office and school laser printers and color copiers for lasting quality and reliability. 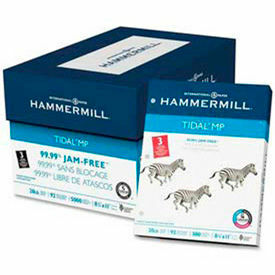 Durable, acid-free archival quality paper extends the life of the document. Extremely smooth paper guarantees outstanding performance in color output that provides image enhancement and grabs attention. Available in package quantities of 300, 500, and 4000 Sheets. Paper weights are 24, 28, and 32 lbs. Paper color is White. Paper sizes vary per model. Perforated And Hole Punched Paper Saves Time And Money For Printing Healthcare Forms, Invoices, Workbooks, Coupons And More. Perforated And Hole Punched Paper offers jam-free, acid-free design for long lasting archival quality that extends the life of documents. Multipurpose school and office paper is compatible with high-speed copiers, laser and inkjet printers and offset presses. Durable letter-size sheets are laser cut with premade hole punches. Provides consistent runability and image quality with flat, even surface for consistent ink and toner receptivity. Available in package quantities of 500, 2500, and 5000 Sheets. Paper color is White. Perforation styles vary per model.